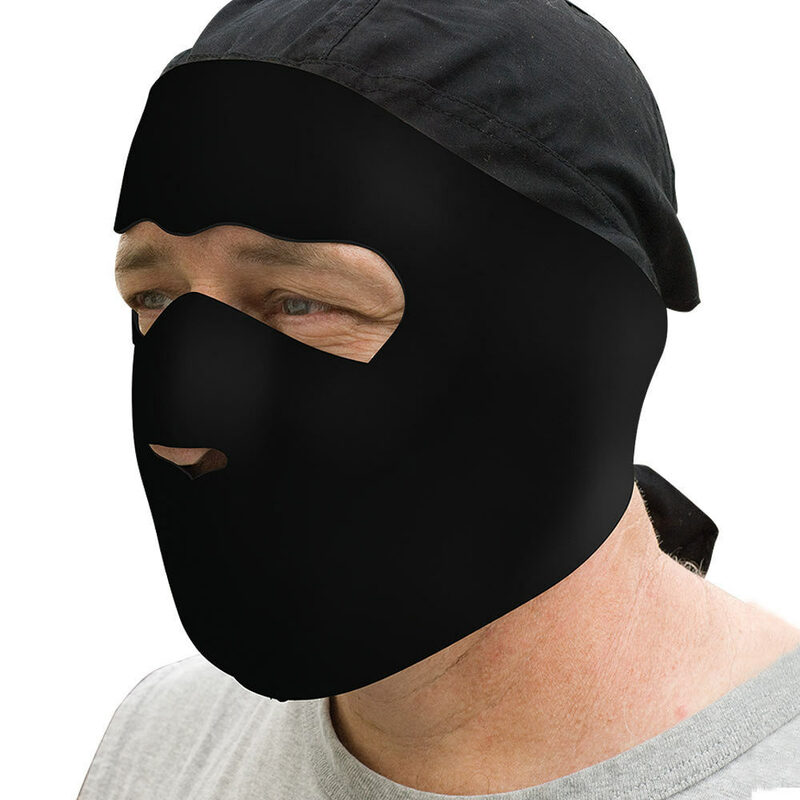 Black Neoprene Facemask | BUDK.com - Knives & Swords At The Lowest Prices! Outrun the cold with this neoprene facemask. (Black skull cap not included). I bought two of these a few years ago for my Son and myself to wear when we were outside working or hunting in the winter. They still work great. I agree with the Lady (Erica) A smaller size would be great for Women or children. I have gloves and socks made out of the same thing. It's light weight but sure will keep you warm. BudK needs to get a skull cap made of this so it would fit under a hard hat. Great as usual. The facemask is alright. Despite having a hole for your nose, it will still fog up glasses if you try wearing them. It's a pretty simple mask that just covers your face. If that is what you're looking for, look no further. The picture is wrong, therer is no hair cover, really is jsut a face, the eyes are smaller, nose peice is okay though. All in all, it seems to work alright with keeping the cold out. The picture is misleading, the model is wearing a bandana. The mask is good though but a bit difficult to put on if you have long hair. The eye opening also tends to fall a bit. Very good for anything you can imagine. I use it for winter, keeps my face very warm! You wanna be a ninja? this is what you'll need! Its snug, very breathable, and doesnt bother your face one bit! I strong recommend this! great wind breakers great quality PERFECT PRICE THANKS TRUE SWORDS!!! this mask was pretty much a disappointment... the bottom part of the mask fits great, but the eye opening is awkwardly sized and quite small. Neoprene cuts pretty easily and doesn't fray when cut, so you can easily customize it I suppose.